Last week, we talked about whether or not happiness is a choice. Can we choose to be happy, after all? Well, when I discovered this chart by colleague Paul Smith, it seemed like the perfect follow up. 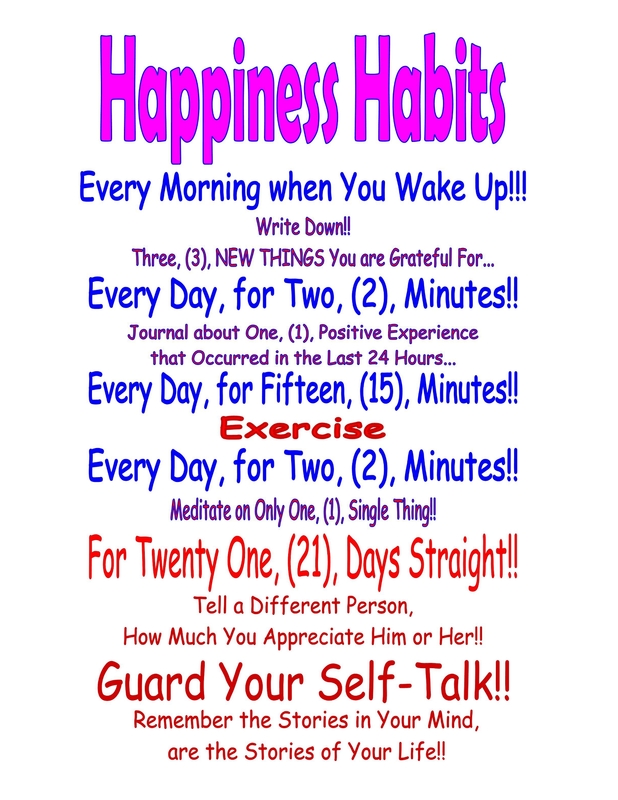 Below are practical, every day things we all have the power to do to increase our level of joy, contentment, and overall happiness! What do you think? Would you add any particular habits? What helps you find joy? This entry was posted in Core Values Couples and tagged core values, core values index, CVI, happiness, Paul Smith, personal development, the happiness chart. Bookmark the permalink.